The beginning of the festival from above. 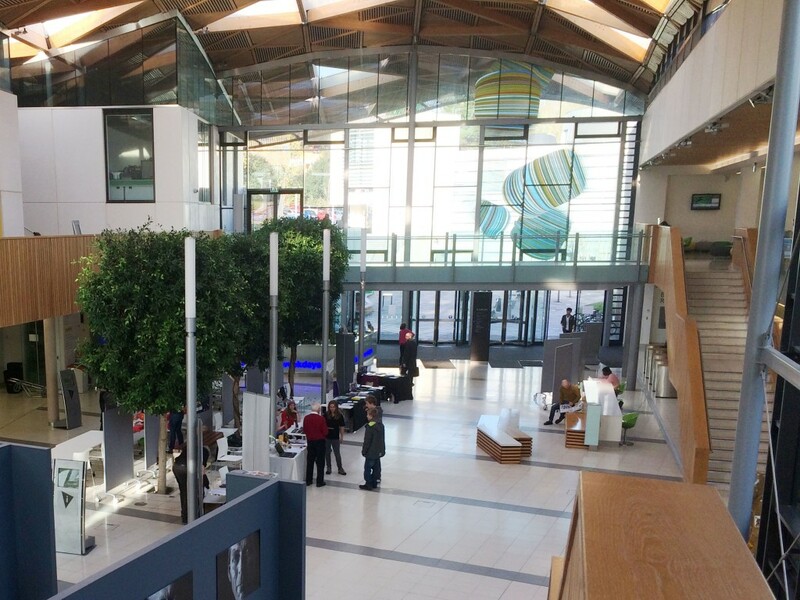 On Saturday the 22nd of November XRT-C took part in the IOP Physics festival here at Exeter University. Various members from our Outreach, Press and Publicity and Science teams were at our stall raising awareness for our project. 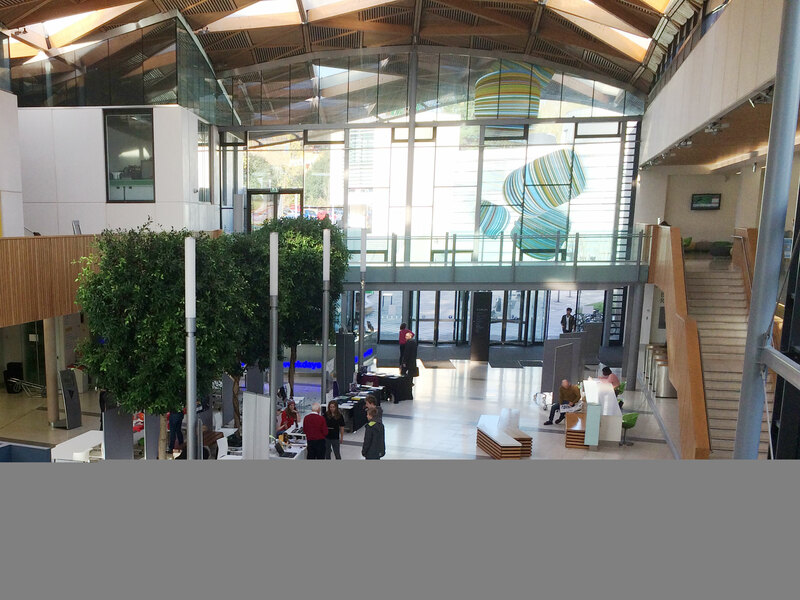 Throughout the day we spoke to many interested members of the public about the project, also teaching them about Hubble’s tuning fork and galaxy classification. While many came to our stall to look at pretty pictures of galaxies, they were all excited to learn more about space and our interesting project. 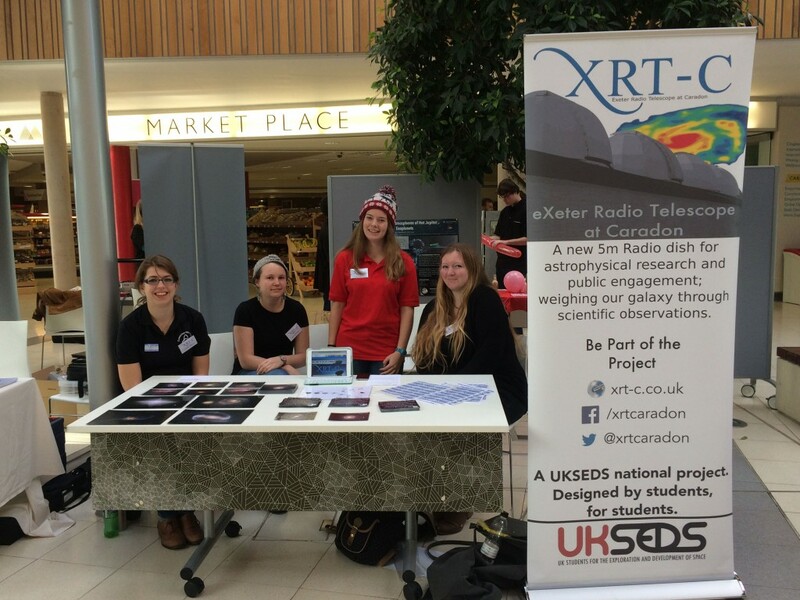 Members of the Outreach, Press & Publicity and Science teams at the XRT-C table.